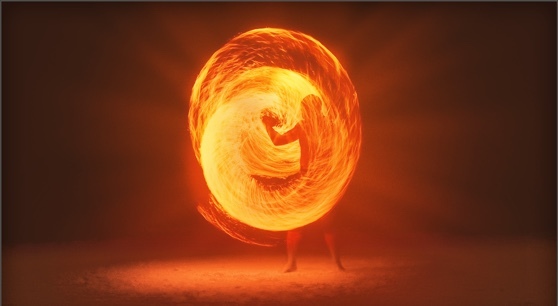 Stranger Strings showcases an eclectic collection of 100+ presets that touches rock, pop, industrial, movie soundtracks, hip hop, trap as well as EDM. From the creative mind of MixbusTV’s host David, these sounds come from the perspective of a platinum mix and mastering engineer delivering mix-ready material while maintaining the possibility of easy and quick tweaks that will fit in any production. Made with performance in mind, these sounds morph and change based on your playing and sensibility—they go far beyond their description. With plenty of arpeggiators, leads, deep basses, or one-shot sound effects, layering your tracks with Stranger Strings brings a fresh air to your music. Make it the main voice on your mix or use it for rhythmic textures and achieve that finishing touch you're after. David from MixbusTV, not only host of one of the most highly regarded and trusted Youtube channel in the music production industry but is also a platinum mix and mastering engineer with a past as a professional musician, songwriter, and arranger. As a tutor and teacher, he likes sharing his knowledge of mixing and audio gear. Now, with this sound pack, he shares his creativity and ideas for modern productions. Read our interview with David of MixbusTV. Visit and follow David on MixbusTV, his YouTube channel about mix, mastering tutorials, audio gear and plug-ins reviews, and masterclasses. 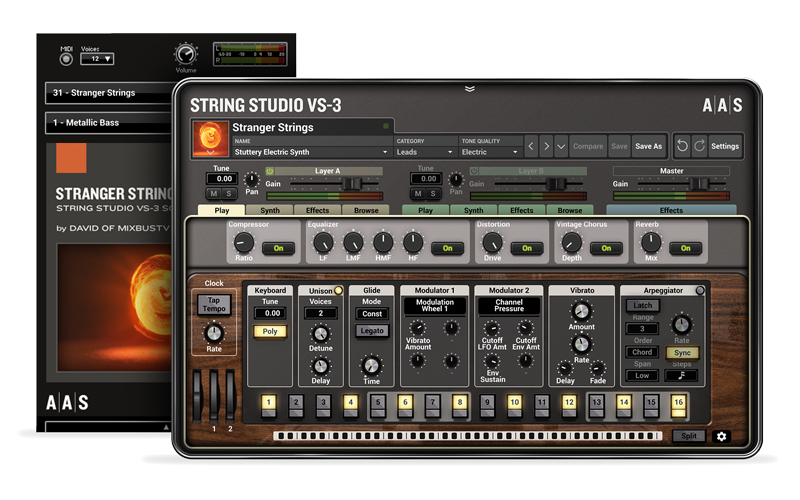 Stranger Strings was created with the String Studio VS-3 string oscillator synthesizer. You can obviously play and edit the sounds in String Studio VS-3, but you can also access and play them via the free AAS Player included with your Stranger Strings purchase.